Andy Serkis is an English film actor and director. He is best known for his performance capture roles comprising motion capture acting, animation and voice work for such computer-generated characters as Gollum in The Lord of the Rings, King Kong, Caesar in the Planet of the Apes reboot series and Supreme Leader Snoke in Star Wars. Serkis' film work in motion capture has been critically acclaimed. He has received an Empire Award, and two Saturn Awards for his motion-capture acting. 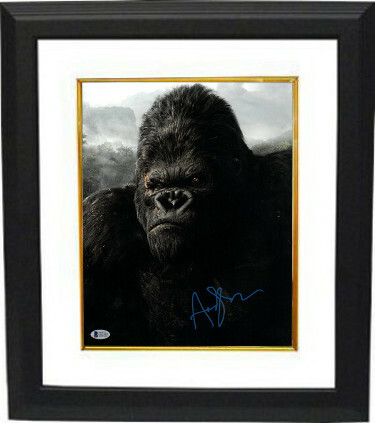 Andy Serkis has hand signed this 11x14 Photo. Beckett Hologram #C65597 and Certificate of Authenticity. Custom White Mat and Premium Black Frame as shown.